Introducing Modern Milk and Cookies! At Boncora we love the idea of collaborating with other small businesses, especially ones that share our values for making the most delicious treats in the most natural and authentic way. 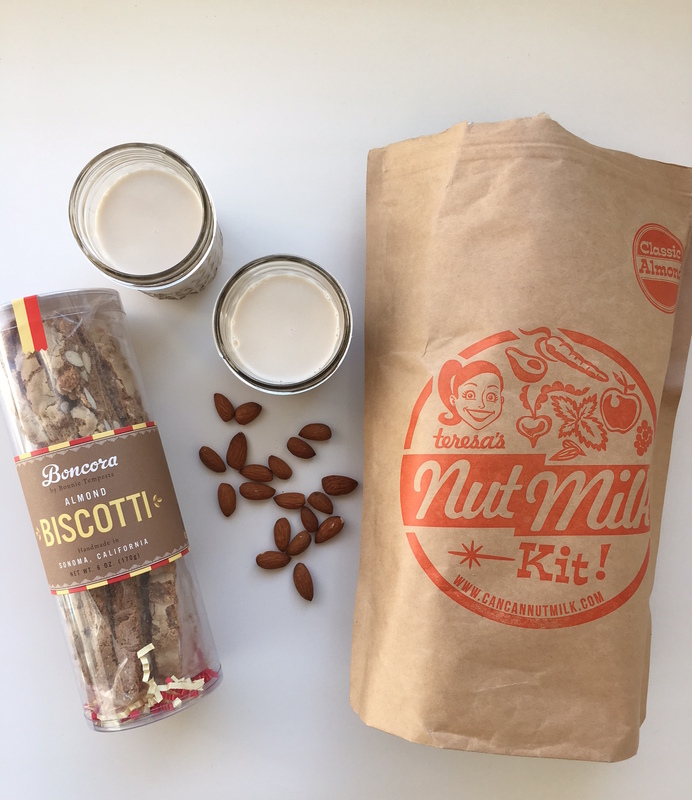 That is why we’ve partnered with San Francisco’s BEST almond milk producer, Can Can Nut Milk, to bring you the most delicious combination of milk and cookies your eyes (and stomach) have ever seen. 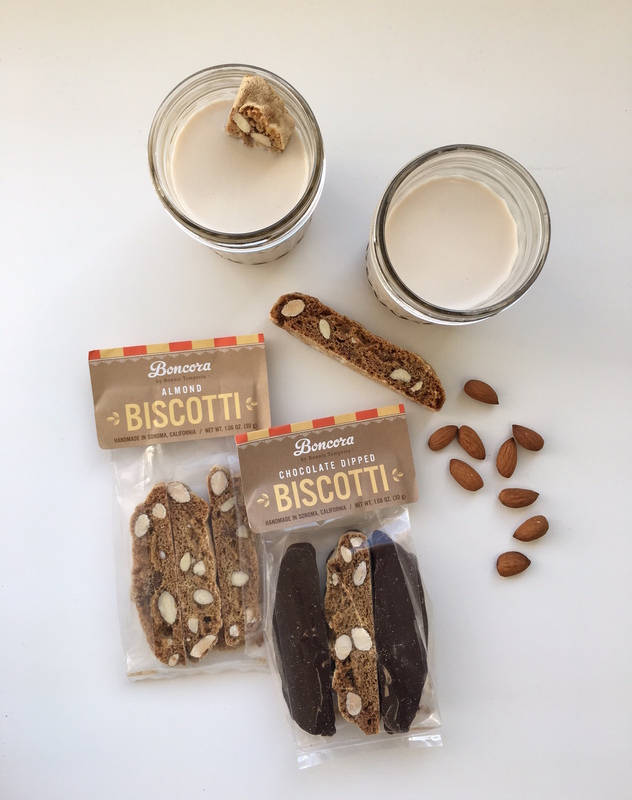 For those of you living in San Francisco, we’ll be offering delivery of our delicious biscotti paired with freshly made organic almond milk. For those of you outside the SF area we are offering our delightfully crunchy biscotti with a do-it-at-home almond milk kit, complete with everything you need to make your own almond milk (with special $7 flat rate shipping anywhere in the US all month). Step 1: Open Cookies. Step 2: Dip cookies in Milk. Step 3: Enjoy the pure bliss associated with this delicious and healthful indulgence. For more information or to place an order visit us at Boncora’s Shop or Can Can’s Shop.